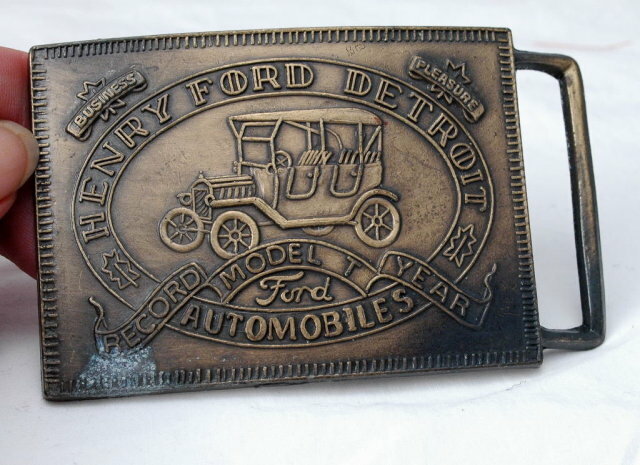 Commemorative Belt Buckle for the Model T by Henry Ford Automobiles. It has very nice details. It is made of metal that has a brass finish on the front. There is some tarnish. 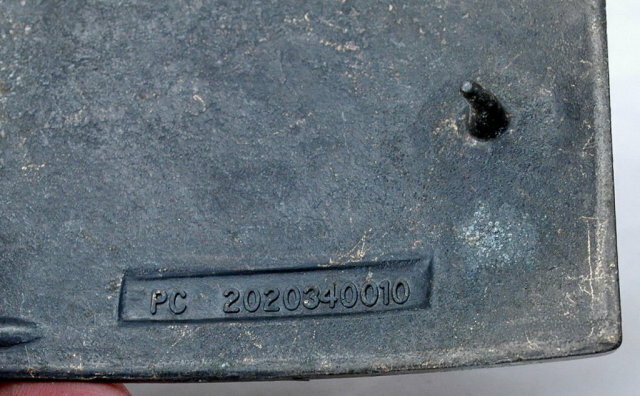 The back is numbered. The condition is good. 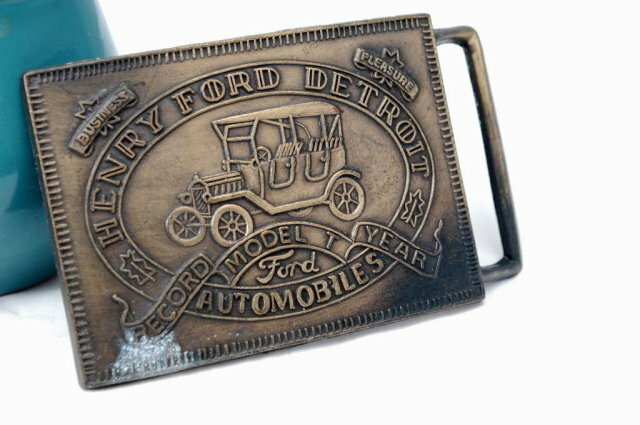 Items Similar To "Model T Henry Ford Belt Buckle - commemorative"